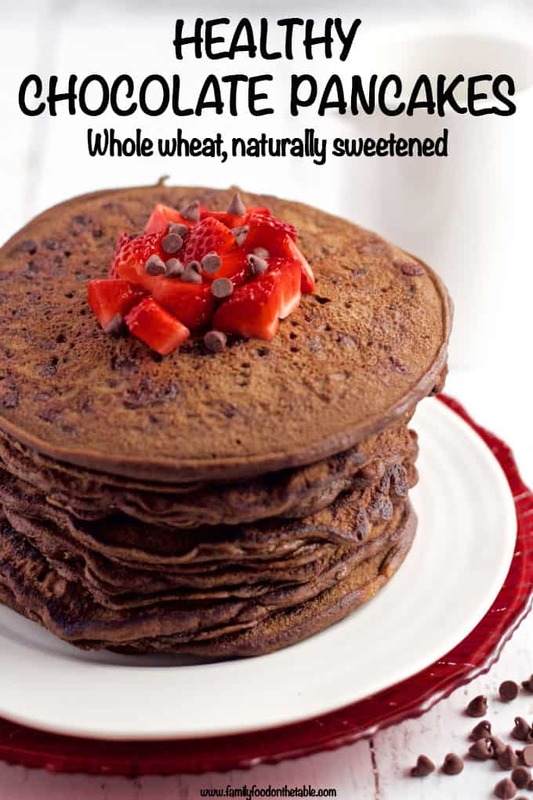 These healthy chocolate pancakes are whole wheat, naturally sweetened and made without butter or oil. 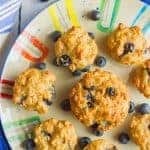 They’re great for a fun and special breakfast! Sometimes you just need chocolate for breakfast. 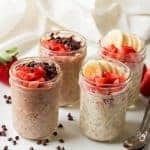 I work as a health and nutrition editor and I certainly have absorbed quite a bit of knowledge and know-how over the years about proper nutrition and good health. But I still like chocolate for breakfast. And when it’s as clean as this recipe, it doesn’t even make me pause. We’ve got chocolate goodness and it’s also whole wheat and naturally sweetened. Such a lovely way to start the day! These come together pretty quickly so you can certainly have them any day of the week, but I usually save pancakes for the weekends when we’re not in such a rush to get the kids fed, dressed and out the door for preschool (all while I’m already on deadline for work). She of course prefers the ones with the mini chocolate chips folded in. That version definitely doesn’t need any maple syrup on top, though you certainly could. 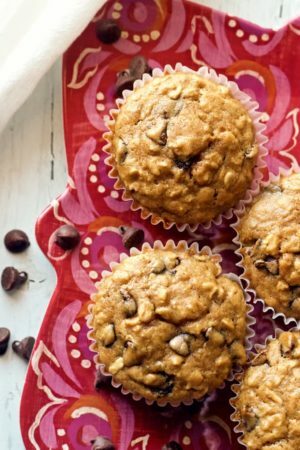 If you make these without chocolate chips, you may want to use a little drizzle of maple syrup to go with them to add a touch of sweetness. 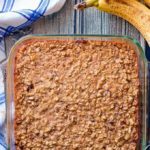 You can also add any fruit you want – I happen to think strawberries go very well with chocolate, but bananas or blueberries would be delicious, too. And of course, feel free to sprinkle these pancakes with some powdered sugar for some extra fun. Mix together the sifted flour, cocoa, baking powder, baking soda and salt in a large bowl. In a separate large bowl, whisk together the milk, maple syrup, eggs and vanilla. Add the wet ingredients to the bowl with the dry ingredients and stir to combine. Don’t overmix. Add the mini chocolate chips, if using, and stir gently to incorporate them. Heat a griddle or large saute pan over medium heat. Spray with cooking spray and pour about 1/4 cup of the batter at a time. You’ll be able to get 4-5 on a two-burner griddle and 3 in a large skillet at a time. Carefully flip each pancake (it will release from the pan easily if it’s ready to flip) and cook an additional 1-2 minutes on the other side, until cooked through. Remove cooked pancakes to a plate or place in the oven to keep warm while you repeat. Note: I spray the pan/griddle with cooking spray in between each batch. I also find I need to reduce the heat a little as I continue to cook the pancakes so as not to burn them. 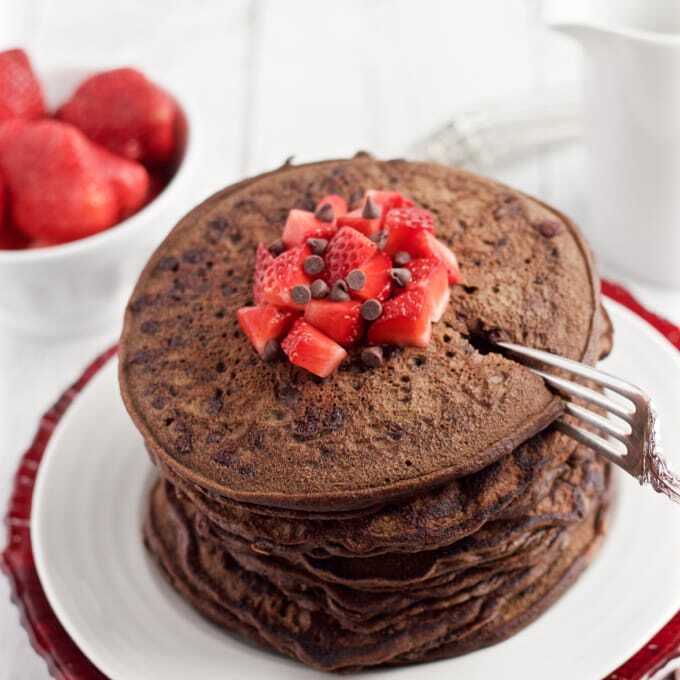 Serve with strawberries, mini chocolate chips, maple syrup or powdered sugar, as desired. Enjoy! Yes, you can skip sifting the flour and cocoa. I usually do because I’m lazy. However, it will cause the pancake batter to be a bit more lumpy. If you use the mini chocolate chips, you don’t really need any maple syrup on top of these pancakes - they are sweet enough on their own. 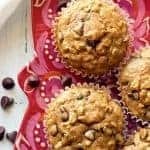 If you make these without chocolate chips, you may want to use a little drizzle of maple syrup to add a bit of sweetness. 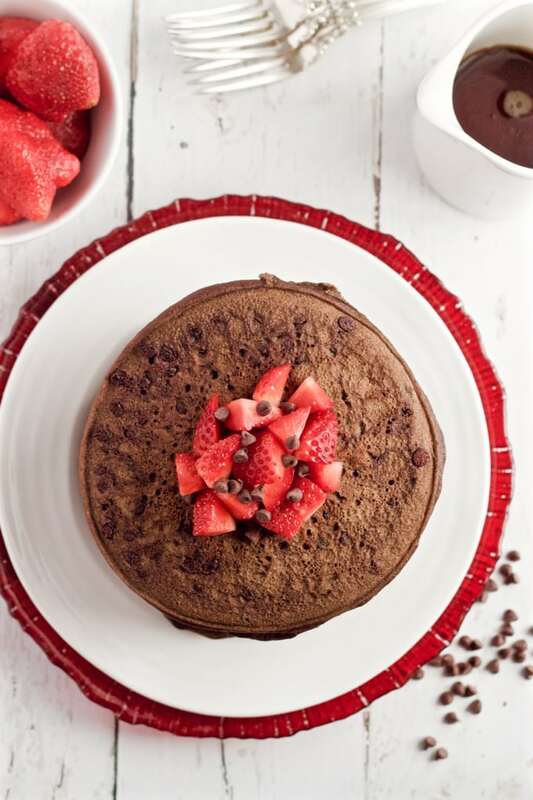 Need other chocolate for breakfast ideas? Of course you do! Thanks Lisa, I’m so glad you’re with me on this 😉 I love your chocolate-zucchini oatmeal idea, too! 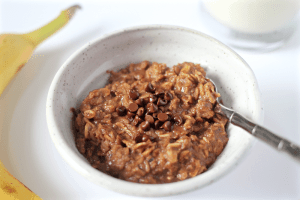 We eat oatmeal ALL the time here, and I have a chocolate oatmeal that I love but adding zucchini is great! 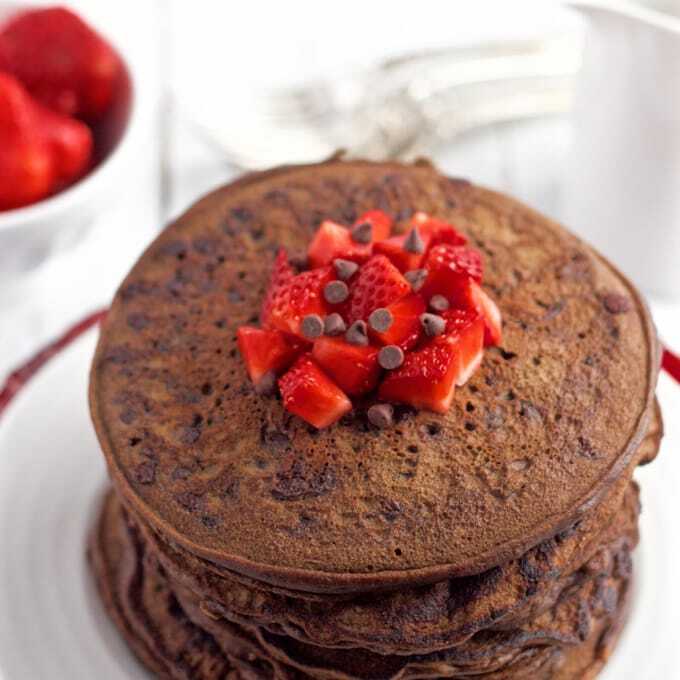 You are in for a treat – chocolate pancakes are definitely a lovely way to get going for the day 😉 Hope you enjoy these! Thanks Erin! I hope you give them a try! 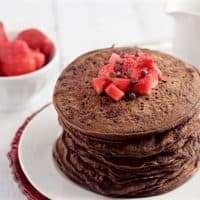 I have never had chocolate pancakes, definitely a very interesting recipe that I know for sure that my kids and my chocoholic husband would love. And I am also astound how much energy the kids have in the morning while I just drag my feet around with a long face. 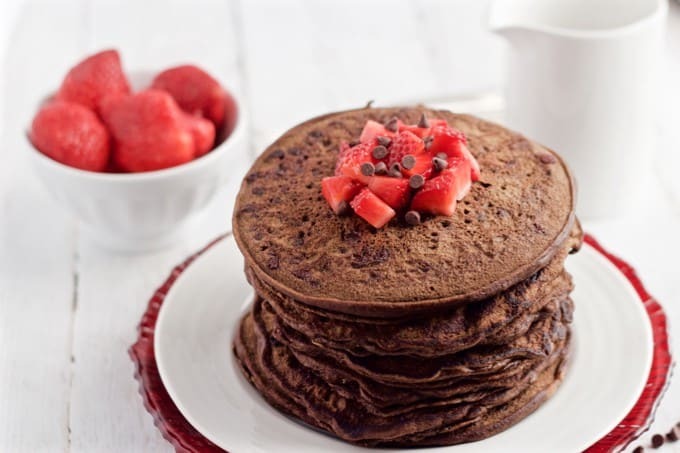 Glad I’m not the only one who feels a little behind in the mornings 😉 And yes, you’ve got to give these a try – I’m sure your family will love these pancakes! Chocolate for breakfast? Sign me up especially in pancake form! These look amazing! 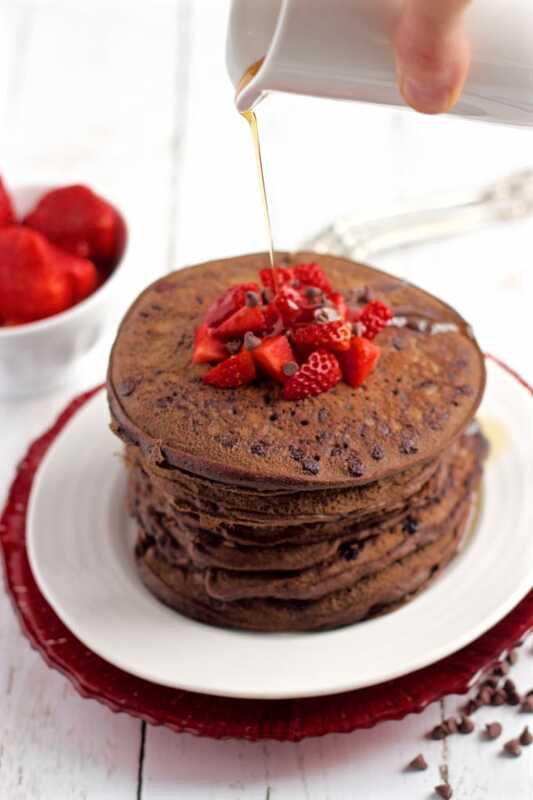 Chocolate for breakfast…yes please! These look wonderful! Haha, me too 🙂 And they are!! 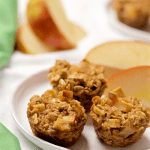 Healthy or not – these look soooooooooo GOOD !! Can hardly believe they have no butter. Perfect recipe. They cook up great (even though the batter’s so thin) and are easy to handle, good consistency, and I inhaled them. I used regular flour, soy milk, and normal-sized chocolate chips, 1/4 c. white and 1/2 c. semisweet, cuz that’s what I had. Would highly recommend throwing in the white chocolate! My batch made nine 1/4 c. pancakes, I could have lived off 2 but of course ate 3 and it was a good, normal-sized breakfast and totally worth it. 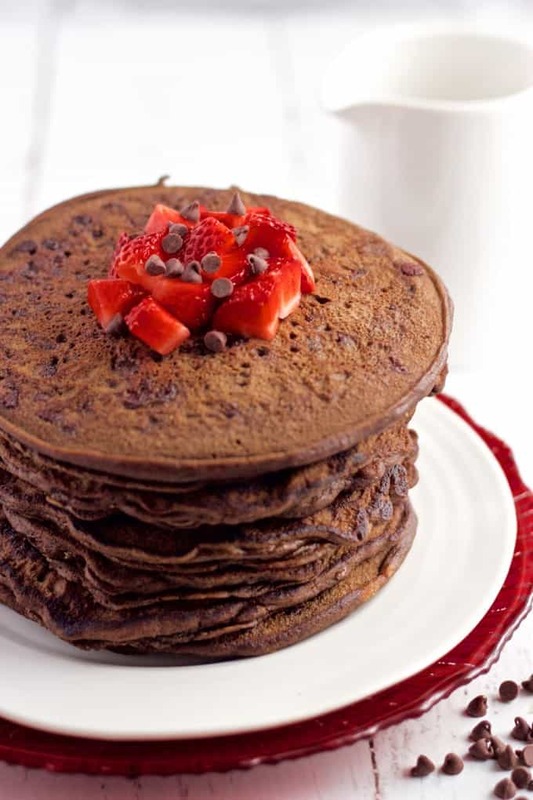 I would say that both the chocolate chips and the syrup on top (but just a drizzle) are totally necessary, esp. without the chocolate chips they would have been not sweet enough at all. Of course with all that and some light butter, I’m not sure I’d call them healthy- 700 calorie breakfast right there. I’m so glad you enjoyed these Alysia! Love the idea of adding some white chocolate chips – yum! 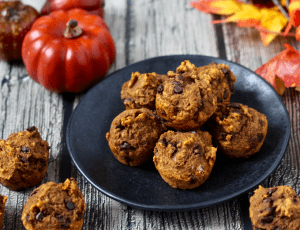 These were delicious, very easy to make and turned out well. I used dark chocolate chips (not as sweet) and used half whole wheat and half A/P flour. The pancakes had just the right amount of sweetness for our taste: my daughter didn’t put any syrup on hers; I put a little on mine 🙂 Served with some blueberries… perfection! 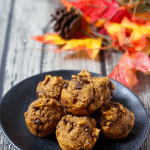 Thanks for the great recipe – I will definitely be trying out some of your other ones! !